Most people tend to use their garage as a storage unit instead of a house for their car(s). 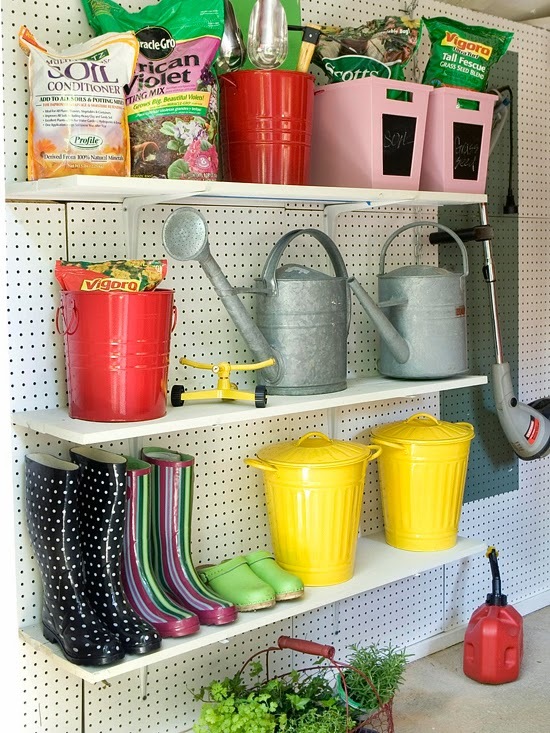 Tackling the organization of any garage can be daunting. Follow a few simple steps listed below to get your garage organized, functional and stress free. Box up and store seasonal items like holiday decorations, sports equipment not being used during that season, etc. 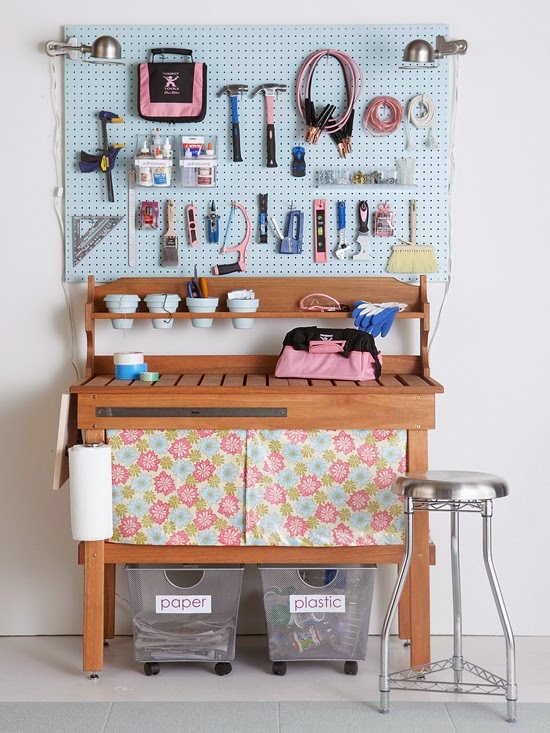 Install a peg board, some hooks and shelving to assist in organizing tools and items used daily. Install adjustable shelving that will allow for different sized items. Buy storage containers with one clear opening so that you can see what is inside. If you don’t have clear containers, make sure and clearly label each bin so that you can see from a distance what is in each container. 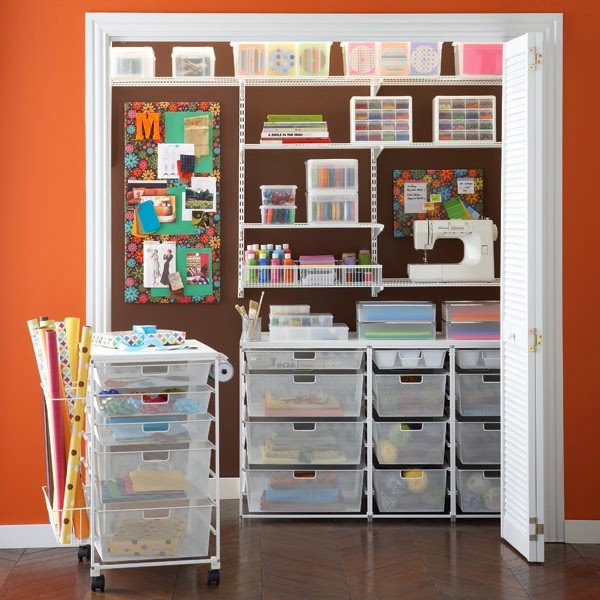 Lastly, don’t be afraid to combine a couple of different storage solutions to help you stay organized. 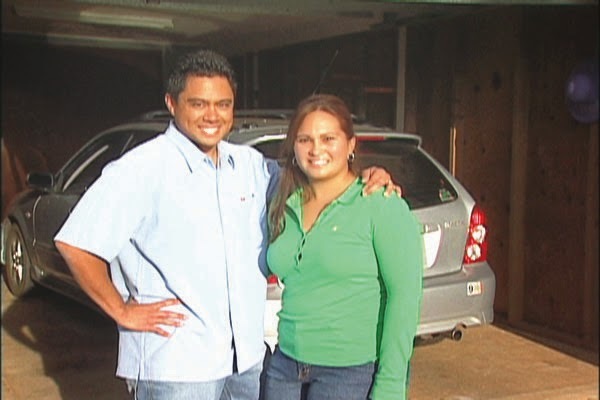 It’s good to also remember that keeping your car in the garage can help save some resale value in your car. Photo from another great cooking tip article at bon appetit! We live in a hustle and bustle society. Between long work weeks, family and social commitments, and sometimes being strapped for cash, everyone feels the pinch of coming up with healthy and affordable meals during the week. Here are a few time and money saving tips to keep your commitment to healthy cooking/living during the week. 1. Make a plan. The easiest way to save money at the store and prevent stress at the grocery store is to plan your meals for the week, make a list accordingly and stick to the plan. 2. Pick a double duty recipe. Choosing to make a protein like roasted chicken, pulled pork, flank steak, etc. at the beginning of the week allows you to use the leftover meat in other meals. 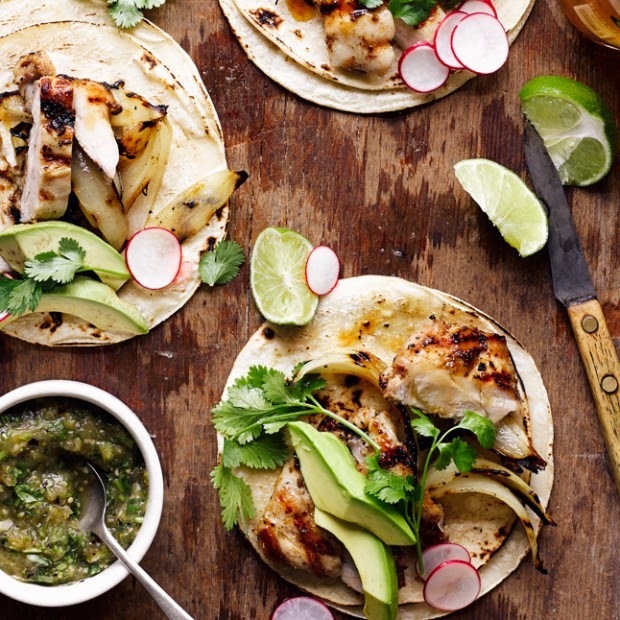 Take that leftover protein to make tacos the next day. You can even roast veggies at the beginning of the week and combine those with any protein on whole wheat pizza dough to make pizza for the family. 3. Buy produce in season. The prices of berries in January will be noticeably higher than when they’re in season in August. You’ll also notice a taste difference. Don’t know what’s in season? Visit a local Farmer’s Market and see what they are selling. Farmer’s Markets Vendors often drastically reduce prices on fresh produce the last 30 minutes of the market which will save you money. Don’t have a farmers market nearby to tell you what’s in season? Google it. Google can be a wealth of knowledge. Also visit our Pinterest page and visit our Mangia! Board for seasonal produce listings and cooking recipes. 4. Shop Smarter. Knowing what you’re purchasing and how much you’re purchasing it for is key. Always look at the price per unit on the tag price of the grocery store. Also buying a non-flavored item (e.g. plain Greek yogurt instead of strawberry Greek yogurt) can save you money. The flavoring a company adds is always more expensive and filled with unwanted calories. Plus you can add your own flavoring with fresh fruit. 5. Cook in Bulk. Set aside a Saturday or Sunday and cook several bulk meal options such as soup, stew, chili, lasagna, pasta sauce etc. All these dishes can be assembled and/or cooked ahead of time and frozen for a later date. If you have a long day or week all you have to do is pull out the meal, thaw, heat up and serve. At the start of each New Year most individuals make resolutions in an effort to insert change in their lives. Most popular are changes into a person’s eating habits and fitness routines. Often neglected are changes into ones environment, aka the home. Setting up your environment for success is just as important as an individual’s health and fitness goals. According to a recent article by Jura Koncius, Home Designer and writer for the Washington Post, de-cluttering your home “can be even tougher to begin and sustain than going paleo or vegan.” Below are a few tips recommended to help de-clutter your life, and set up your environment for success. Set Goals: Be as specific and intentional with the changes you want to make. Put them in writing and schedule them into your calendar. If you carve out the time to tackle these set goals, you have a way to keep yourself accountable. Make your Goals small and manageable: As with any resolution or goal (most noticeably with fitness), if you make a goal too grand, it can be unattainable. If you start small, say with tackling your junk drawer or clearing the kitchen counters, it will give you a sense of accomplishment that you checked one project off the list. Each small task completed is a victory and will lead to more confidence in tackling the next task. Sort as you go: From personal experience, this is where you need to be ruthless. Take four separate containers (trash bags, cardboard boxes, anything) and label them “Trash,” “Storage,” “Sell,” “Donate.” Start in one area first (could be a closet, media unit, or your kitchen), and sort items from this area into their respective piles. When sorting through items, put items into each container that you haven’t used/worn/watched/read in 6 months to a year. I know this is hard, but if it’s not being used, it’s taking up valuable space in your home or apartment. Make sure and schedule a charity pick up for items that can be donated, and sell, trash or store the remaining items as quickly as possible. You will feel better just being able to see the extra space in your home, as well as know you’ve cleared your home of items that don’t serve your current lifestyle. At the end of the day, the important part is to remember your goals and objectives. Accomplishing something positive in one area of your life often breeds success in other areas of your life. Here’s to a Happy New Year and continued success in the future! When you run a small business, are you often in need of additional space? 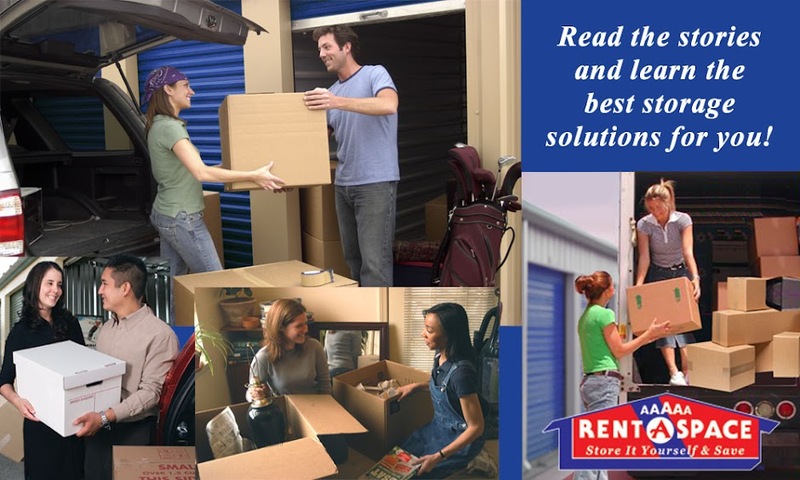 A self storage unit just might be the answer. Small businesses operate out of many types of spaces, from a personal garage to a large, modern facility. Even the most sophisticated business in West Maui can, however, run out of space. Is your business working with any of these situations? If you have a storefront and customers walk in, you want their experience to be as inviting and engaging as possible. Stacks of boxes, bins, and other objects in the aisles make your show room floor look cluttered, uninviting and the lack of order makes it frustrating for the customer to find what they need. A unit in a self storage facility can be the additional space your West Maui small business needs—it’s affordable, cost-effective, and efficient. 1. Landscapers are storing seasonal equipment, tools and extra parts in a self storage unit until they need them again. 2. Some people buy and sell products through online sites. They can store the items they sell in their storage unit and ship when the products are purchased. 3. A realtor who stages homes keeps her staging items: furniture, lamps, vases, and other things home décor in a storage unit taking out what she needs and storing it all again when the open house is over. 4. A copier company stores parts and refurbished copiers in their storage unit until they are needed for temporary replacements or for resale. 5. A contractor stores materials until they are needed as his client’s homes are remodeled or built. The materials stay dry and are ready to be installed at a moment’s notice. Using a self storage unit can save your small business a lot of money by giving you a flexible space for products, furniture, and seasonal items without having to rent or buy larger business premises. With no long-term lease requirements and a reasonable dollar commitment, it’s easy to see why more small businesses in West Maui are making use of a self storage unit.